I am a noob here but have been reading the forums for awhile. It looks like i have found a bunch of people who are as PG crazy as myself. 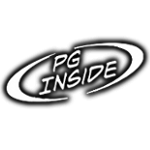 I have been into PG since my first system back in 97 when i bought a purple sapphire and 2 XS 10's. Just wanted to see if i could figure out how this photo posting thing works here. I hope that worked, if so, this is my truck. 1990 Toyota, with full air ride, 3.5" body drop and custom airbrushing. I am curious to find out if there are any other minitruckers on this site? The truck was built in the mid to late 90's and has been in storage almost a decade. It currently has 4 MTX Thunder 2000, 3 Pioneer 4 channels and some (lol) Crunch 6.5's in the doors with some no name tweets at the top of the windsheild. Not to worry, that will not be staying. Welcome to the phorum. Nice truck you got there, I bet its great on the speed bumps Back in the day I was a big fan of low riders, I've gotten older and wiser (minus the wiser part ), and have gotten out of that. I started with PG the same time you did though, had a '97 Grand Am walled off in the back seat with 8 Xmax 12's. Unfortunately the build never got finished, and eneded up having to sell most of the gear. You've come across a good bunch of people here on the site with a large amount of knowledge. Once again, welcome. nice lookin truck and it looks like you might be able to hear the stereo as well. I love the crazy paint and the clean interior right untill all the tweed. I know its a mini-tuck thang but I just never liked the look or the feel of it. Reminds me of a nice burlap sack. Looks sweet! I was gonna say, "You don't see those in Canada! ", but then I noticed your plates and the storage crate, eh! Appreciate the kind words. I hear ya on the tweed, its not the nicest feeling on your skin but its fairly cheap and easy to work with. Plus it fits the era of the build. I am guilty of using it myself though. Its true, i am a Canuk and also there are not many of these around. That part of why i enjoy it Theres nothing quite like airing out and dragging the crossmembers past a group of people and seeing the cunfused looks on their faces. Welcome to the phorum. Not much of a mini trucker, although I have always been partial to the hardbody. I'm more of a big body Chevy guy. I'm in central Florida, it seems this is the epicenter of lowrider/minitrucks.lol.